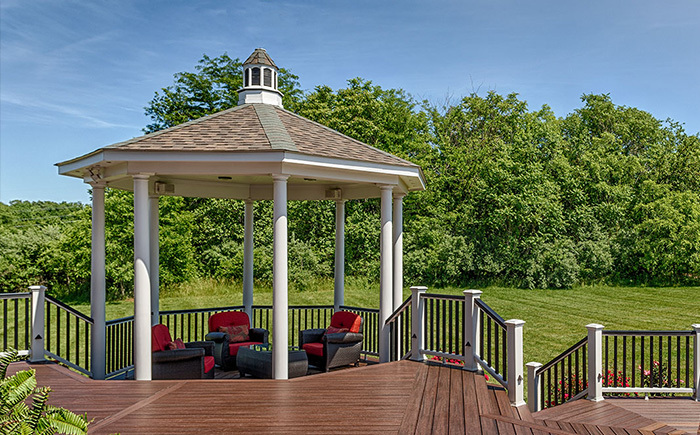 Coming in a variety of sizes, colors and materials, pergolas and gazebos can provide the right frame for your outdoor living space. 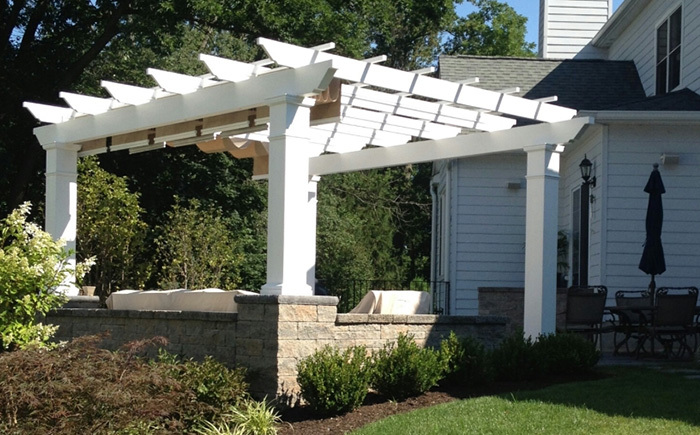 Our aluminum reinforced cellular vinyl pergolas bring strength and unlimited designs to your home. We’ll help you consider other options such as a canopy, lighting, and even curtains to build a hideaway that will make others envious. 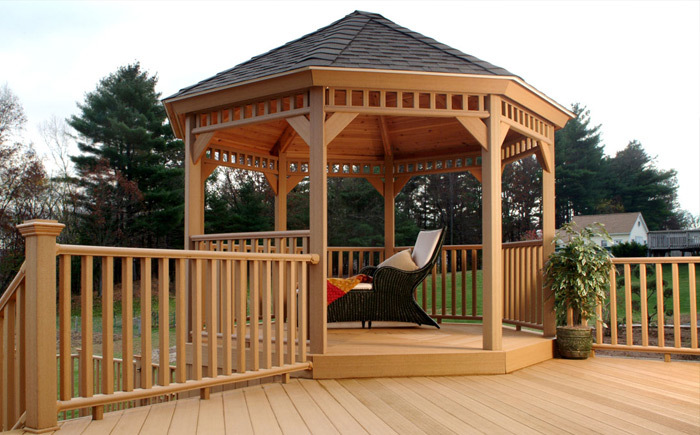 A gazebo is a perfect addition and enhancement for any garden or yard. Not only does it provide an attractive feature and focal point to please the eye, but it increases the pleasure you derive from your outdoor space in an almost infinite number of ways. It enables you to expand your home’s living space, and greatly extend your enjoyment of outdoor living to three, or even four, seasons of the year.